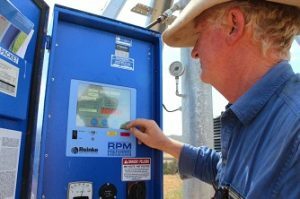 On-farm audits of energy efficiency and irrigation uniformity (checking irrigation systems are performing as they were designed to) found big variations in efficiencies – even with recently installed systems. Monitoring soil moisture, plant condition and weather (especially the weather conditions influencing evapotranspiration) to inform decisions around timing and volume of water applied doubled productivity on some sites. Smarter Irrigation for Profit was a partnership between the Australian Government and major irrigation industries of cotton, dairy, rice and sugar. The project developed and tested an automatic irrigation module, based on the satellite/weather-based irrigation information system in Victoria, on commercial dairy sites using flood irrigation as a preliminary step towards the whole farm automation of future irrigated farms in SE Australia. The system combined recent and forecast weather data with satellite imagery to provide local, web based crop and location specific measures of reference evapotranspiration (ETref ) and crop coefficients (Kc) for use in irrigation scheduling. Smart Automated Irrigation: Develop precise and automated control systems for a range of irrigation systems. 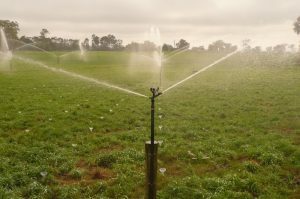 The National Centre for Engineering in Agriculture at the University of Southern Queensland is leading a project to develop precise and automated systems for a range of irrigation systems. The systems will be tested and validated at the field scale, and demonstrated to growers and potential commercial providers to encourage future industry adoption. 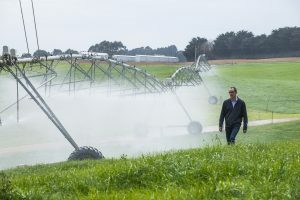 This project, led by the Tasmanian Institute of Agriculture (TIA) used data and autonomous technology to help farmers make informed decisions and improve their efficiency of irrigated water use in pastures. 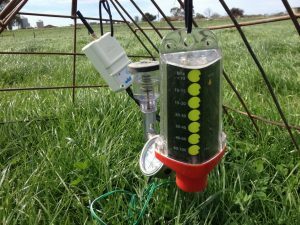 The project looked at the use of irrigation water in pastures by collecting data on water use, energy use and pasture production from five sites across Tasmania. Using this data, the team worked with farmers to make changes to improve water use efficiency. The project also trialled an autonomous irrigation system. To do this, the team collaborated with The National Centre for Engineering in Agriculture at the University of Southern Queensland, who have developed a control platform called VARIWise. The VARIWise system has been developed and tested in cotton, but this is the first time it has been applied to a pasture based system. For more information see the project website or , Smart automated irrigation, dairy. 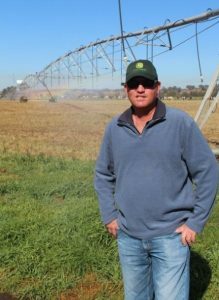 This project demonstrated to border check irrigators the benefits of an improved irrigation bay design that reduces the duration and variation of surface ponding time. 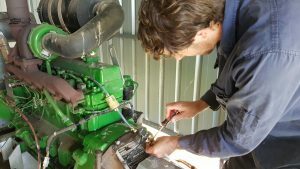 This project supported a network of farmer managed learning sites located in major dairy regions referred to as “optimised irrigation” farms in WA, SA, Gippsland, NSW and Queensland. Dr James Hills and Dr Mark Harris feature in this video on irrigation scheduling : Optimising Dairy Irrigation Scheduling. Glenhaven, located at Aberdeen in NSW’s Hunter Valley will be the focus of the final year for Dairy Smarter Irrigation for Profit. The focus is a 13.5ha centre pivot installed in 2009. The project will seek to identify potential water energy and labour savings at the site. See the site summary and follow the progress here over the coming months. There is also a video to view to learn how Rex Tout (Loomberah, NSW) is reducing energy consumption and cost through improved efficiencies in pump system design, maintenance and operation. The monthly Limestone Park Irrigation Update April 2017 is the latest way that you can keep up to date on activity at the Dairy Smarter Irrigation project. Have a look at the link and email Marguerite to join the mailing list to receive each update as they become available. The “Tales from Cotton” Dairy Tour was an exceptional two days of learning about smarter irrigation systems. Posts from the tour can be found on Facebook or Twitter #Smarterirrigation. The tour wrap will be available soon. 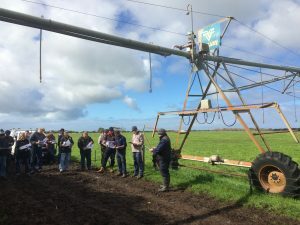 The project in South Australia is investigating efficiency opportunities and the value of Variable Rate Irrigation at three sites at, Allendale East, Eight Mile Creek, and Mount Schank. The South Australian trial sites provided a weekly update of site activities and irrigation scheduling for the second half of the 17/18 irrigation season. For additional detail on the project follow this link, to the South Australia introduction. 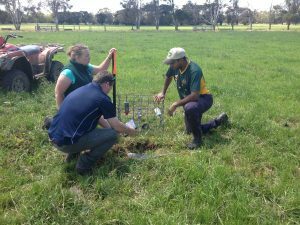 Catch Can Testing at each sites highlighted the opportunity for significant improvements in pasture productivity at two sites. The first project case study demonstrates the value of conducting a catch can test, Hunts Smarter Irrigation case study. The Mackillop Farm Management Group have produced a useful “Irrigation Glove Box Guide” that is available at Irrigation Glove Box Guide they have also produced a useful video on catch can testing. 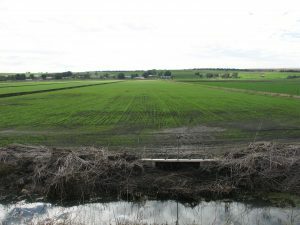 The Gippsland project was based in the Macalister Irrigation District, on the farmer owned Macalister Demonstration Farm (MDF). 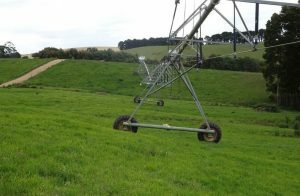 The farm has four different irrigation systems comprised of surface irrigation, fixed spray, bike shift and sub surface drip, irrigating 72 hectares sown to perennial ryegrass. The Smarter Irrigation project at the MDF is focusing on making the most of existing systems by improving infrastructure and optimising irrigation schedules using soil moisture monitoring technology. 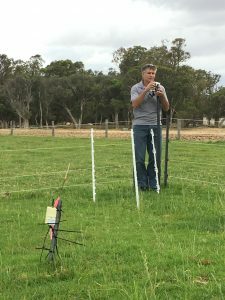 Four different soil moisture monitoring systems are being trialled on farm, as well as automation for the surface irrigation system, and improvements to drainage. Commisso Millett gives an introduction to the Commisso site “Commisso Millett Trial 2018“. Commisso Kykuyu provides a time lapse view of the Kykuyu site (no sound) Commisso Kikuyu 2108. The Maize 2018 video is a timelapse of the Giumelli maize site Maize 2018 while Lab Lab 2018 is also at the Guimelli site. The Maize description gives some general information about the maize that was used at the site. 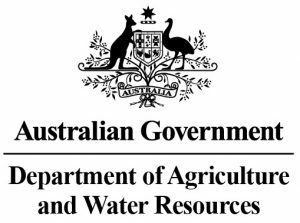 The WA smarter irrigation report 2018 summarises the project in Western Australia and its outcomes from the 2018 season. The 2017 Western Dairy Innovation day included Sam Taylor discussing the findings so far in what is a handy reminder to irrigators that there are always opportunities to optimise irrigation costs. 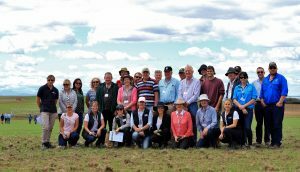 The 2016 field day included presentations on water requirements, maize and fodder beets. Presentations from the day are available below. 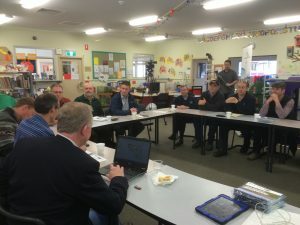 This project was supported by funding from the Australian Government Department of Agriculture and Water Resources as part of its Rural Research and Development for Profit Programme.